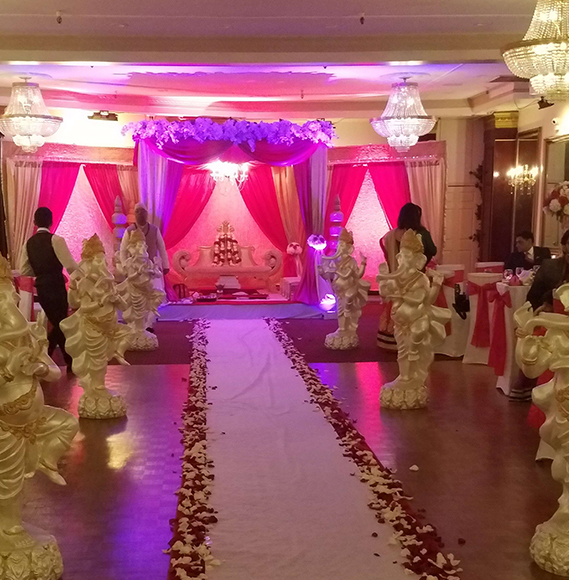 Celebrate your marriage in style, with your closest friends and family, in one of the elegant ballrooms at Antun’s by Minar. Our venue offers absolutely breathtaking ambiance and style, and is the absolute best of the best when it comes to Anniversary parties. Ask to see our Lux room, with a maxiumum occupancy of 200 guests, or if your party is going to be bigger, we can show you our Ballroom Suite with seating up to 250 guests or the Hamilton Paget room which has seating up to 400 guests. Speak with one of our event managers to tour all of our rooms, and go through our customizable catering menus full of delicacies from South Asian, Spanish, and Italian cuisines. Your anniversary party will be unlike any other your guests have ever attended. Celebrate your marriage to your spouse at Antun’s by Minar and make it an anniversary you will never forget.